Quickline was approached by Sterling Locks, producers of a broad range of security products, to manage and undertake a series of works in readiness for their move to new premises in Bradford. With our knowledge and experience of all aspects of warehousing, we created and implemented a phased project plan. This encompassed works as part of the dilapidations for the building which we put out to tender on the client’s behalf to pre-approved contractors. Working closely with the team from Sterling Locks, we were able to establish the needs of the business and provide a design that would allow the business to operate from the new premises. 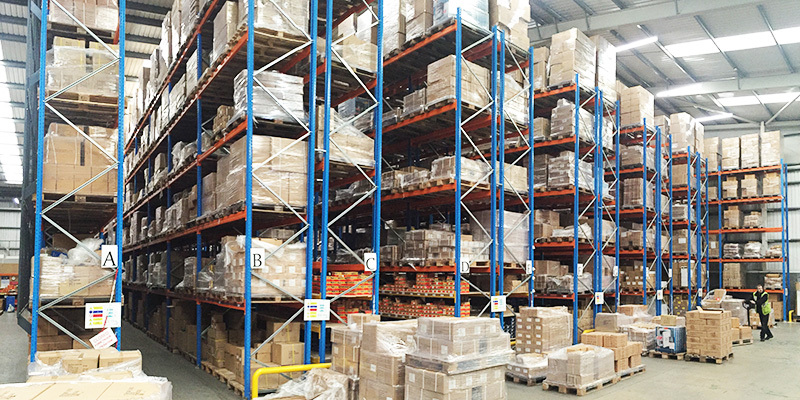 This included a new warehouse layout to maximise the use of space, including a brand new adjustable pallet racking installation specifically designed for guided fork lift trucks. Complete with the latest LED strip lighting, custom-built test rooms and canteen, the warehouse, boasting 2,268 pallet locations, provides an ideal environment for the business. Working diligently with electrical contractors enabled us to deliver the necessary installations in a timely manner. A new distribution board installed within the warehouse area serves the new fork lift truck charging stations, pallet wrapper and the automatic gates which allow access to the site. With security in mind, Sterling Locks were keen to showcase some of their own high quality equipment as part of the CCTV system, providing us with high definition cameras for the installation. The internal office space also saw a complete re-design and full refurbishment. Partition walls with glazed sections were utilised to form the offices and training/meeting rooms across the ground and first floors, and an air conditioning system was installed to suit the layout. New carpets, skirting and vinyl flooring incorporated into the design to compliment the blinds in the glazed partitioning sections gave a sleek contemporary look to the office space. On the ground floor the large showroom features new LED lighting, a ceiling mounted projector and floor mounted data and HDMI ports ready for various display modules and product lines.